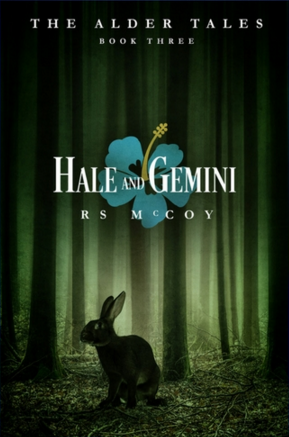 "Hale and Gemini" is book 3 in the dystopian/fairytale retelling series "The Alder Tales". I have really enjoyed this series and each book is better and better in my opinion. Each book takes a fairytale as its focus (Blossom and the Beast = Beauty and the Beast, Renee and the Three Bears = Goldielocks and the Three Bears, Hale and Gemini = Hansel and Gretel) and each one has a great, slow burning, YA level romance in it amidst turmoil and a unique civilization. In the Alder Tales, each person is granted the ability to shift into an animal after an injection on their 18th birthday. 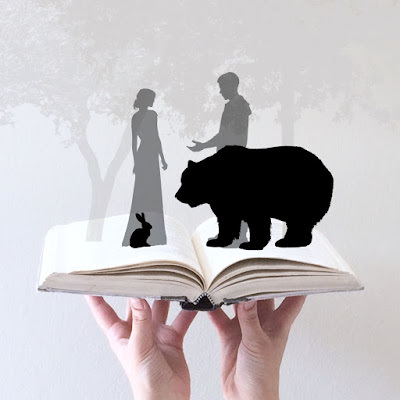 Each person also retains a level of their animal counter part in human form, for instance if you are a bat you would be able to hear well even as a human, if you were a bear you have a heightened sense of smell, etc. Predatory animals are highly coveted, and lesser prey animals ... still have some good qualities, but they are significantly less coveted. Each book in this series has a unique set of main characters, but it also continues the plot of the pervious books and it's going to be hard to give this one a full review while avoiding spoilers so pardon me if I'm a little vague and leave out character names. I will say this romance was my favorite of any of them, and I love the time that R.S. McCoy has taken to let her characters get to know each other a before they are full on head over heels. I also love how unique the romances in each book have been. We've got a great cast of genuine characters in this series and in this book especially I feel like Blossom has really grown up, and rather than pouting about how difficult things are and throwing a fit about wanting her old life back she has straitened her spine and done what needed to be done. Gemini sounds like she would be awesome to meet in person, she friendly and fun, but also strong enough to plow forward despite some near crippling (and well deserved) fears. And finally I really liked the humanity of Renee, she knows there were consequences for her actions in the previous books and she's fighting hard to make things right, and do everything she can to help. Ha, ha, ha... sorry this is the most vague review. Bottom line, we've got three well thought out, well executed YA level romances (kissing and fade to black), three kick A** females, three fun plots that occasionally overlap, and characters that show a lot of growth through each book and the series just gets better and better. The final book in the series "The Snow Owl" will be released in 2018 and I'm really looking forward to it.